The Sea Glass Luxury Firm Eurotop Cal King 14" Firm Euro Top Mattress and SmartMotion? 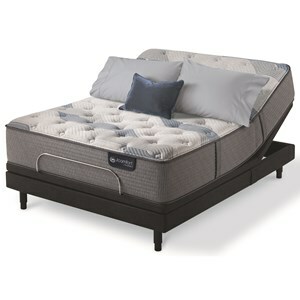 2.0 Adjustable Base by Simmons at Coconis Furniture & Mattress 1st in the Zanesville, Heath, Lancaster, Newark, Reynoldsburg, Ohio area. Product availability may vary. Contact us for the most current availability on this product. 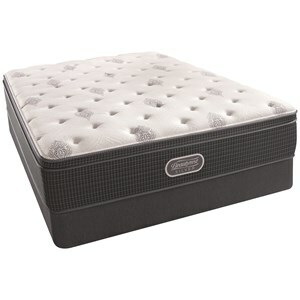 60053190102210 Cal King 14" Firm Euro Top Mattressq 1 14"
The Beautyrest® Silver™ Collection of mattresses uses the newest technology, including fibers enhanced with Silver, to help move heat and moisture away from the surface which helps you get a cooler nights rest. 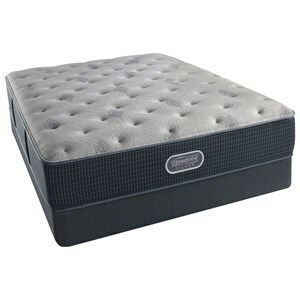 Gel Memory Foam is used in the center third for extra support where it is needed most. Layers of AirCool® and AirFeel® Foam provides cushioning atop the legendary Beautyrest® Pocketed Coil® system that minimizes motion between partners and forms to every body for a personalized support. Come feel the comfort with the quality you expect from a Beautyrest® mattress. 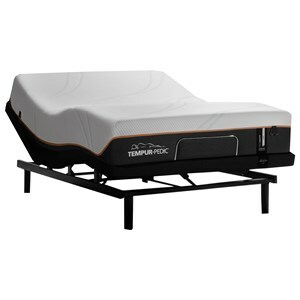 The Sea Glass Luxury Firm Eurotop collection is a great option if you are looking for Mattresses in the Zanesville, Heath, Lancaster, Newark, Reynoldsburg, Ohio area. Browse other items in the Sea Glass Luxury Firm Eurotop collection from Coconis Furniture & Mattress 1st in the Zanesville, Heath, Lancaster, Newark, Reynoldsburg, Ohio area.